Stable isotope analysis is frequently used to assess the trophic ecology and characterise the food webs of river, lake and terrestrial ecosystems. Such information can be used as a guide for conservation of vulnerable species. For freshwater fishes, current methods on trophic ecology rely on muscle data, and the sampling of such data involve either euthanasia or muscle biopsy that may be inappropriate for small sized and endangered fishes. A number of studies have investigated the applicability of non-lethal tissues such as blood, mucus, scales and fins as possible substitutes to white muscle when dealing with endangered fish species. The results of these studies suggest that turnover rates are specific to species, populations and sampling sites. In order to contribute towards trophic ecology studies on endangered freshwater taxa, this study explores the use of non-lethal fin tissue for trophic studies on chubbyhead barb (Enteromius anoplus). Chubbyhead barb is comparable in size to most of the threatened minnows in Southern Africa, is abundant and of least concern. Knowledge of the identity and sources of prey consumed by fishes is fundamental to understanding trophic relationships in most aquatic ecosystems. However, using stable isotope analysis to infer dietary changes depends on precise knowledge of turnover rates of δ13C & δ15N. Therefore, this study uses a two-pronged approach based on laboratory and field experiments. For the laboratory experiment chubbyhead barb were collected from the headwaters of the Koonap River. 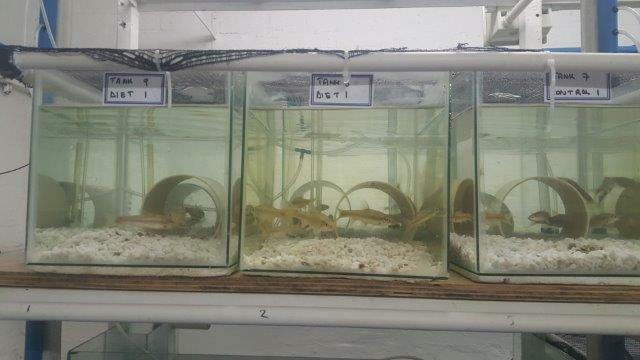 Controlled laboratory feeding experiments using two isotopically distinct feeds were carried out in order to: (i) determine the turnover rates of fin and muscle tissue of chubbyhead barb and (ii) to determine if fin tissue can be substituted for muscle tissue in trophic studies of chubbyhead barb. The turnover rates of the laboratory experiment can then be used in field studies of chubbyhead barb. 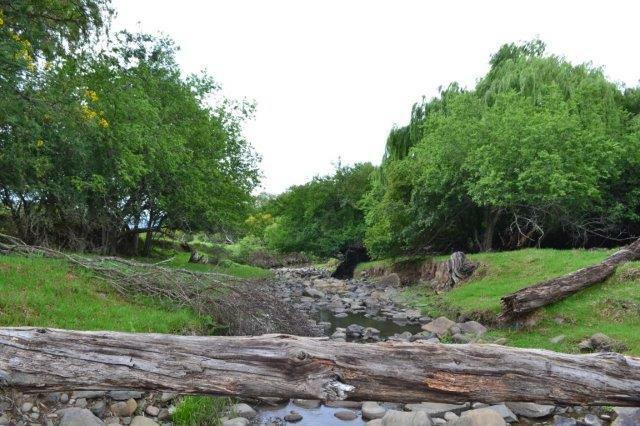 For the field portion δ13C & δ15N of primary producers and consumers, which include chubbyhead barb and aquatic invertebrates, are being investigated seasonally in order to describe the food web in the headwaters of the Koonap River. 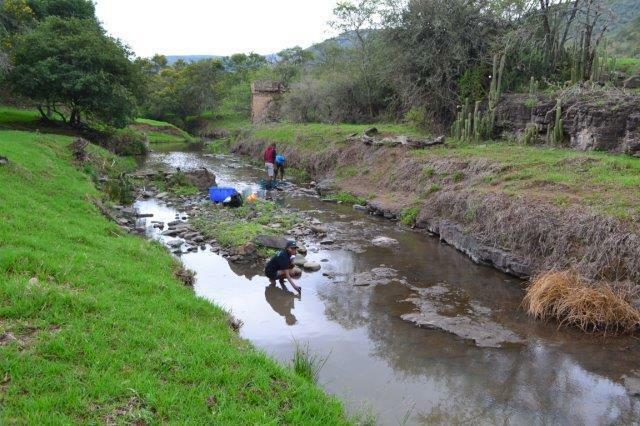 Specific objectives of the field experiment are to: (i) identify the organic matter sources and supporting consumers in the headwaters of the Koonap River and (ii) determine the relative importance of terrestrial and aquatic organic matter to the headwater stream consumers during four field seasons.